The Raspberry Pi Foundation has released an official enclosure for its popular mini PC. Given the foundation’s overwhelming success over the past several years, one can only wonder why it took this long for them to produce a chassis. The foundation went with design company Kinneir Dufort to bring the vision, first conceived two and a half years ago, to life. As Raspberry Pi Director of Software Gordon Hollingworth recalls, the design firm initially produced six main and 20 secondary designs for consideration. The team narrowed it down to just three main designs, ultimately going with the “Construct” design which is what’s being sold now. The end result was designed specifically to work with the Raspberry Pi 2. It’s constructed of ABS plastic and features an optional clip-on lid that can be removed with ease as well as a removable side plate to gain access to the board’s GPIO pins. The enclosure provides access to all ports with the Pi’s activity lights being visible through the end of the case. Anti-slip feet will keep the unit from sliding around. In the absence of an official case, we’ve seen some pretty creative DIY solutions such as cases built from Legos as well as custom 3D printed designs. Even basic cardboard boxes aren’t all that uncommon. The foundation’s official case obviously won’t be ideal for every project but it’s nice to finally see a ready-to-use solution. 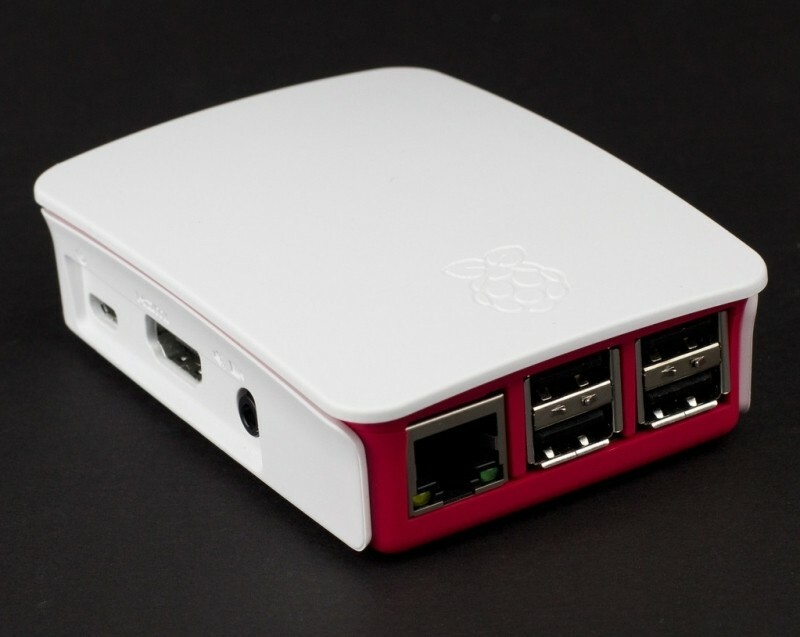 Like the board it’s designed for, the official Raspberry Pi case is easy on the budget. It’s available as of writing from MCM Electronics for just $8.59.